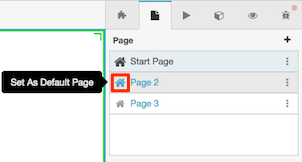 After you add pages to a script, you can set one page to open by default when the script pops on an agent’s display. Notice that one page has a larger “Home” icon than other pages. This signifies the default page. 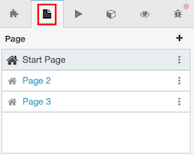 Click the Home icon of a different page. Do not click the name of the page. A different colored icon iindicates the new default page.